Public Service Electric and Gas (PSE&G) today marked the start of construction on a 10.14-MWdc solar farm on the capped Parklands Landfill in Bordentown, N.J. The project, part of PSE&G’s Solar 4 All program, will transform 40 acres of landfill space into a clean energy producing solar farm, capable of powering nearly 2,000 average-size homes annually. The Parklands Landfill ceased operations in 1989. Reclaiming brownfields and landfills has been a centerpiece of PSE&G’s innovative Solar 4 All program and the Parklands site, owned by Waste Management of New Jersey, Inc., represents the sixth installation of this kind. In early 2015, once the Parklands Solar Farm is in service, the Solar 4 All program will have utilized 80 acres of landfill and brownfield space by installing more than 70,000 solar panels, capable of generating more than 20 MWdc of solar power, which is enough to power about 3,000 homes annually. 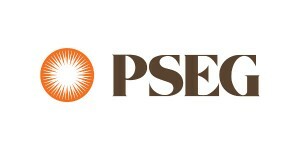 Since 2009, PSE&G has invested more than $480 million on the Solar 4 All program and created more than 1,600 jobs. PSE&G estimates that at the height of construction, there will be approximately 100 people onsite working on the Parklands solar project in a range of jobs, including electricians, engineers, heavy equipment operators, ironworkers, laborers and truck drivers. “We are showing once again that solar development in general, and our Solar 4 All program in particular, can be a jobs and economic development engine in New Jersey,” added PSE&G’s Forline. Conti Enterprises Inc. of Edison, N.J., one of the state’s largest solar developers was selected as the engineering, procurement and construction contractor for the project. Conti (under its SunDurance Energy entity) performed the same role in construction of the 3.0 MW-dc Kearny Solar Farm, which is built on a closed New Jersey Meadowlands Commission landfill and is also part of the Solar 4 All program. Solar 4 All is a 125-MWdc program that utilizes rooftops, solar farms, utility poles and landfills/brownfields for large-scale, grid connected solar projects. There are currently 80 MWdc in service all of which was developed during the program’s first phase. The Parklands Solar Farm is the first project of the Solar 4 All program’s second phase, which the New Jersey Board of Public Utilities approved in May 2013 and focuses on developing 42 MWdc of grid connected solar capacity on landfills and brownfields during the next several years.